Blended families have become commonplace in Canadian society. A blended family consists of a couple and children form previous relationships. There has been a shift in how Canadians view marriage and it now common for people to have two or more spouses over their lifetime. This change in Canadian Families has created new challenges in law, particularly in the areas of estates. It is common for a person to die leaving a spouse and children from a prior relationship. Very often the spouse has children of his or her own and may have a will that leaves their entire estate to these children. Accordingly, it is extremely important that people who have blended families take particular care to make an estate plan that balances the interests of their children and spouse. When developing an estate plan for a blended family a person may have a difficult choice of ensuring that his or her spouse is properly looked after, while at the same time ensuring that his or her estate does not end up going to step-children, while biological children receive nothing. In the past it was common for spouses to leave everything in their estate to one another. In the age of blended families, this approach can lead to disinherited children, hurt feelings, anger between surviving family members and litigation. 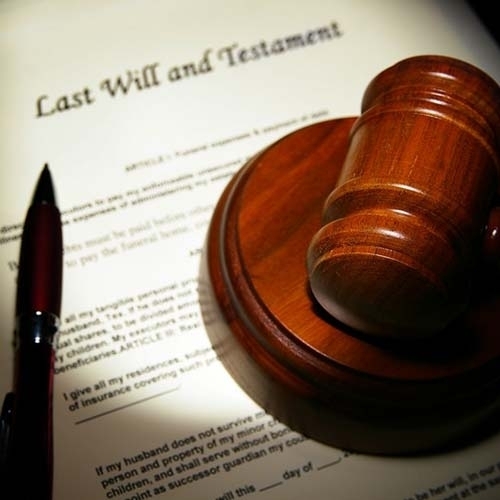 The Wills and Estate Succession Act, or WESA, is the legislation that governs wills and estates in British Columbia. If a person dies without a will WESA provides for provisions for how that person’s estate must be distributed. WESA addresses blended by families by giving a spouse the first $150,000 of an estate when the deceased person has children from a prior relationship, but the first $300,000 when the only children are the biological children of both the deceased and the spouse. After the spouse receives a preferred share the remainder of the estate is split equally between the spouse and the deceased person’s children. For a small number of people this arrangement is satisfactory, but in many cases it divides the estate in a way that does not reflect the deceased person’s wish. As such, it can be extremely important of people in blended families to ensure that they have an up to date will. For more information, please visit our Wills page or contact one of our Kamloops estate lawyers.